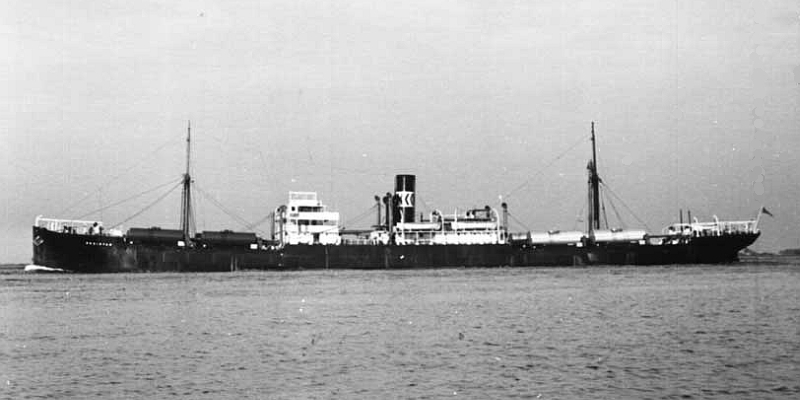 The badly damaged ship was towed to Falmouth by the British tug GOLIATH where she was rebuilt as a merchant vessel and returned to her owners in November 1941. 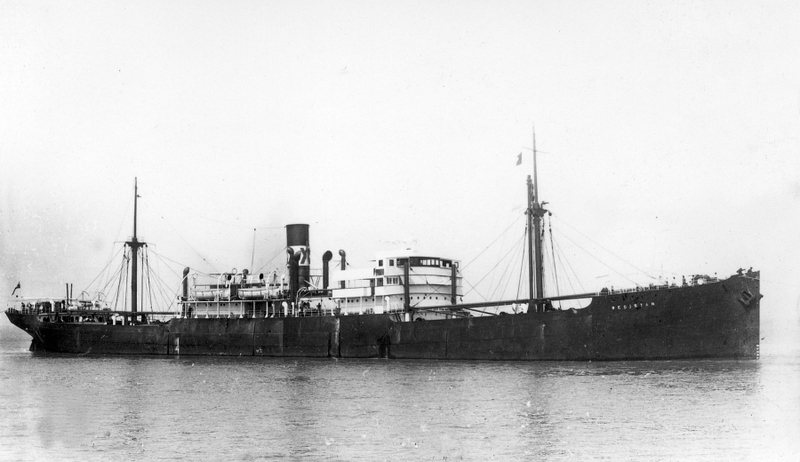 29/10/1942: When sailing un-escorted she was torpedoed and sunk by U-Boat U332 some 140 miles East of Bardabos. 11 crew and 5 gunners were lost.